Leading workwear brand, JCB Workwear has launched new items into their range just in time for the Winter season. Following on from the success of the popular Cagelow Trainer, the brand has introduced the new Hydradig lightweight mid-cut version. 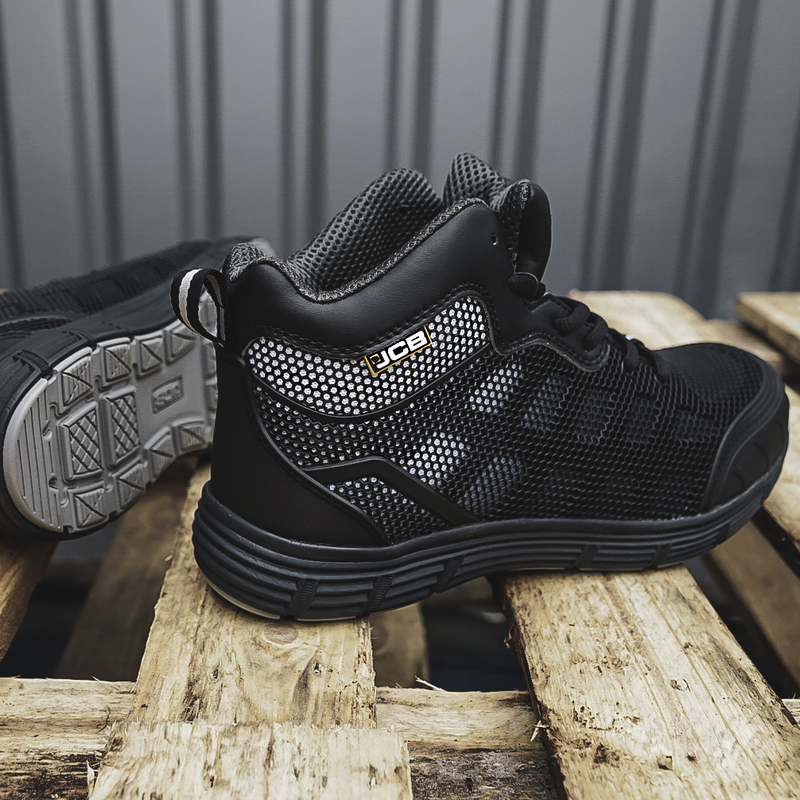 With the same grey mesh & black KPU upper, TPU protection to heel and toe, steel toe cap and midsole as the Cagelow, but with added ankle support for extra comfort, these are perfect during colder weather. Get your feet into something comfy this winter! Fill in the form below and you could be in with a shout.